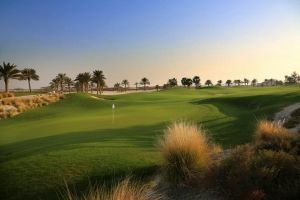 We offer a choice of over 1 golfcourses spread out thru Bahrain. Book green fees and tee times in REAL TIME and get your confirmations immediately. Save time and money on your golf green fees and get cheap green fees, quickly and securely online with Tee Times For You, the experts in online Golf. Due to the amount of Green fees we book, we can offer discounted green fees. We give each client a special treatment and we have the latest information on the status of the golf courses. The Royal Golf Club's two golf courses offer something for golfers of all abilities. The Montgomerie-designed Championship course will be a challenging option for even the most seasoned golfer but will also appeal to the less experienced as there are plenty of holes giving risk/reward opportunities for those daring enough to take them. One of the easiest and fastes way I have fount on the internet to book multiples tee times. Konnte schell un reibungslos einen Golfplatz mit meinem Handy während dem Urlaubm mieten. Fast, simple and confortable, I call this a Good Service. I recommend this website to everyone. part of Ecommerce Group N.V.